The only thing more broken than the windows damaged inside our Museum barn, were our hearts! 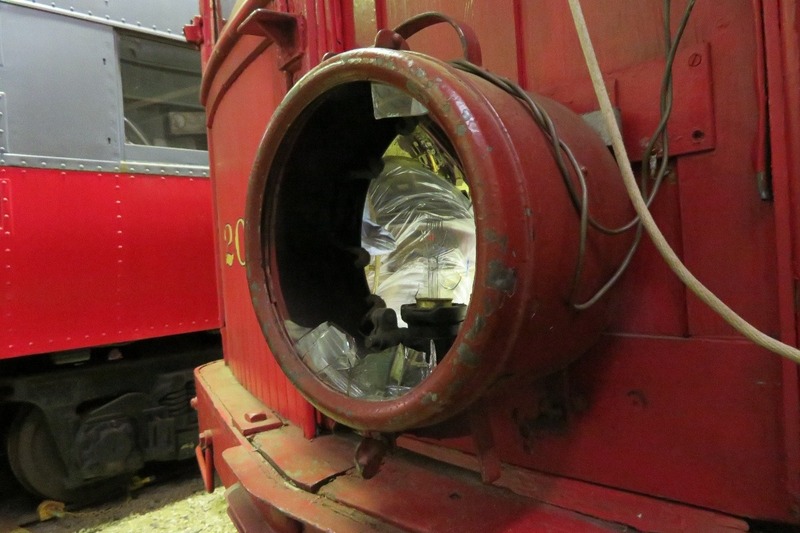 The Fox River Trolley Museum suffered a terrible burglary, that was discovered on July 7th. As reported everywhere, two boys, 11 & 13 used pick axes to break through a wall and did over $110,000 of damage across all seven cars inside the barn. The museum is a completely non-profit organization, with no employees, and completely rely on volunteers and donations. WGN9 Covered the 6 month progress today. 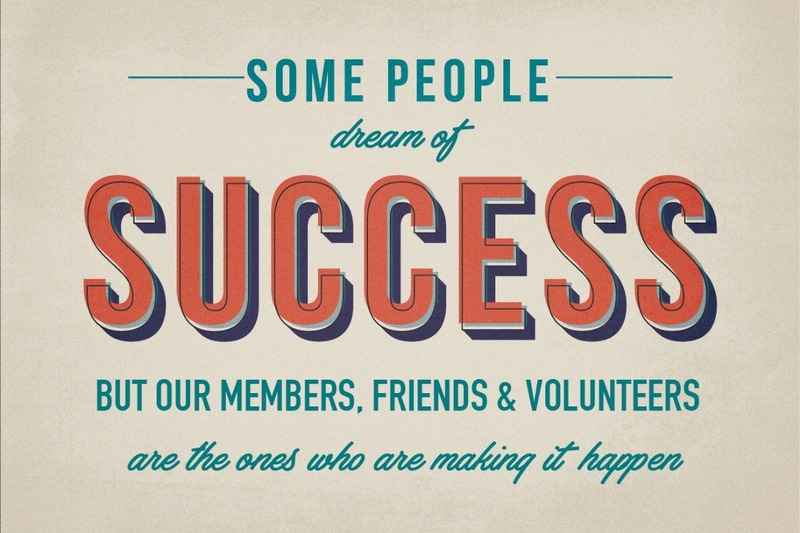 We sincerely want to thank the whole community of volunteers and donors who have helped make the progress we have made! When the public heard about the vandalism, the small museum with an even smaller budget and minimal insurance, felt a wave of goodwill. A GoFundMe page so far has raised nearly $51,000 dollars and a Joliet glass maker donated tens of thousands of dollars in custom made replacement windows. And a security firm, Imperial Surveillance, donated a high-tech camera system. It is a history Bennett hopes even the boys who broke in over the summer can become a part of. But for those who did and who put hundreds of hours over the past six months to rebuild, it’s a history back on track. On #GivingTuesday please remember Fox River Trolley Museum (FRTM). The donations thus far have really made a huge impact to our community. We need to continue our progress towards recovery at FRTM! - Volunteer - message us to help! We need all kinds of help. 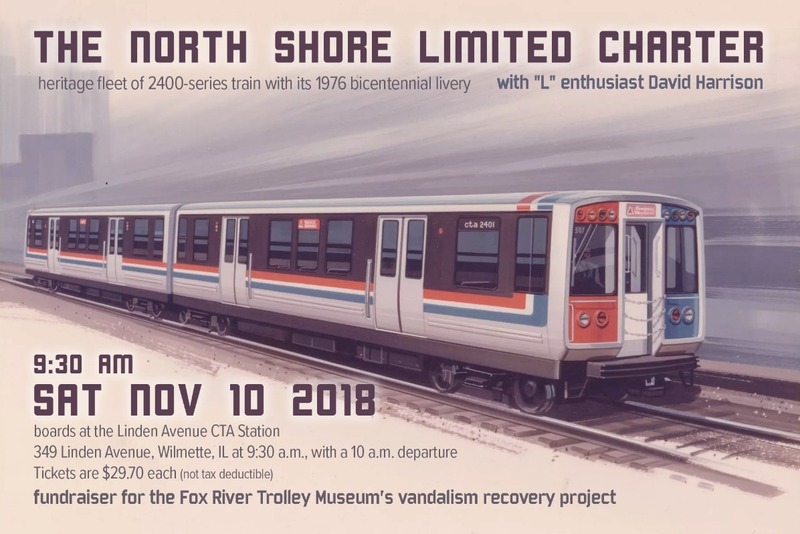 Please join us on The North Shore Limited Charter with David Harrison that will feature cars from the Chicago Transit Authority’s Heritage Fleet of four 2400 series 1976 Boeing cars. This charter is a fundraiser for the Fox River Trolley Museum’s vandalism recovery project. Tickets are $29.70 each. Tickets are not tax deductible or refundable. Although every effort is made to operate specified equipment and according to schedule, no guarantees about specific times or equipment can be made. This special charter, hosted by David Harrison will board at the Linden Avenue CTA Station, 349 Linden Avenue, Wilmette, IL on Saturday, November 10, 2018 at 9:30 a.m., with a 10 a.m. departure. Train runs on the Evanston Purple Line to the Chicago "L" Loop. A photo stop will be made at the Quincy Loop "L" Station. The train will then circle the Loop L to head back north with photo stops at Addison in front of Wrigley Field and Sheridan Road. The train will then run express from Sheridan Road back to Linden Avenue station in Wilmette. Please Join Us for Members & Friends Day at the Fox River Trolley Museum! We want you all to know how much we appreciate you and for you to see the progress this far! Saturday October 13, 2018 from 11am - 4pm at the museum. - Personal tours of the Trolleys in the Barn - See the whole collection. - Get your chance to learn what it takes to operate a trolley!